Wedi’u hysbrydoli gan y tirweddau dramatig a hynafol ble cawsant eu magu ymhell o’i gilydd ar arfordiroedd cyferbyniol y DU, mae dwy feiolinydd arbrofol ac arloesol yn cydweithio i gynhyrchu perfformiadau byw a dyfeisgar wedi’u hysbrydoli gan gorsydd, arfordiroedd, anheddau hynafol a modern, ynghyd â chysylltiad cydedmygol o’r feiolin. Inspired by the dramatic and ancient landscapes they grew up in on the extreme opposite coastlines of the UK, two pioneering experimental violinists collaborate to produce innovative live performances inspired by marshlands, coasts, ancient and modern settlements and a mutual connection to the violin. 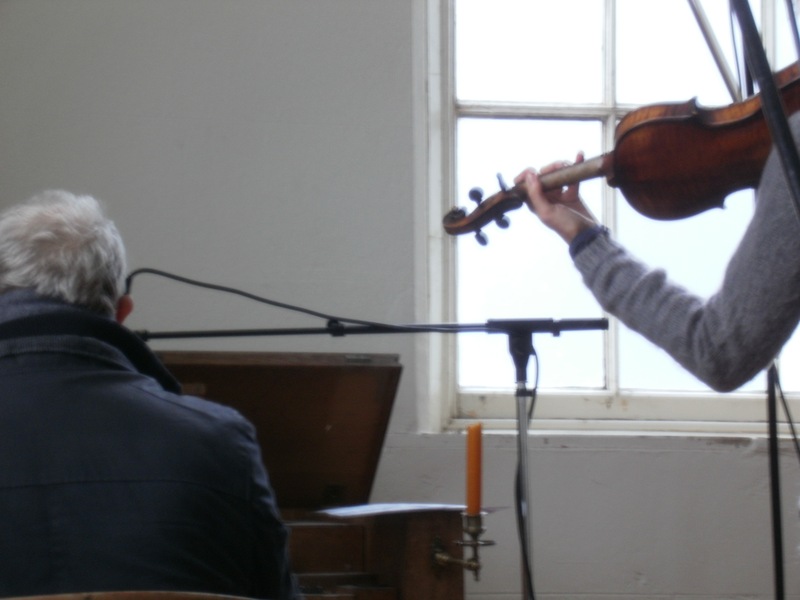 Angharad, Laura and the violin immerse themselves within, and respond to, the particular context of a former Welsh Presbyterian Chapel, and the Dyfi Estuary landscape within which it sits. Mythos of Violins gratefully acknowledge the support of PRSF Beyond Borders. 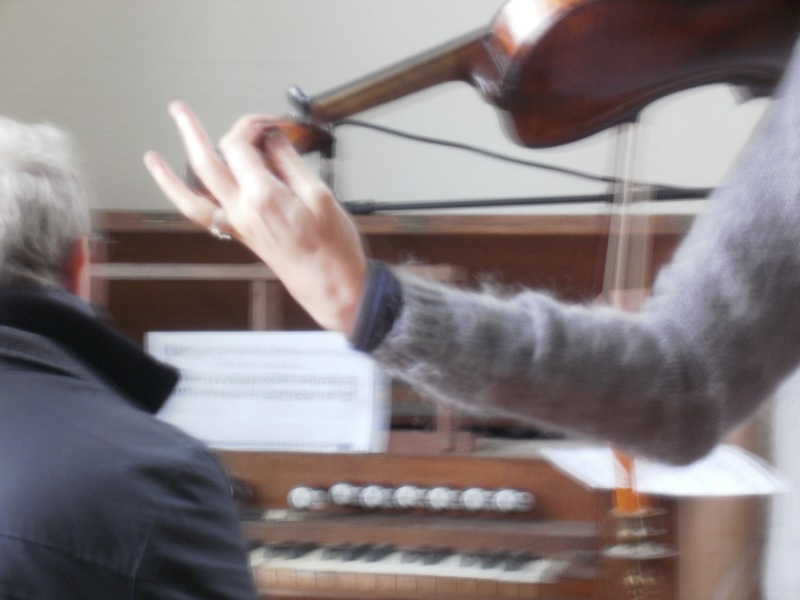 Angharad Davies is a violinist, one at ease in both improvising and composition, with a wide discography as part of varied range of ensembles and groups. She’s a specialist in the art of ‘preparing’ her violin, adding objects or materials to it to extend its sound making properties. 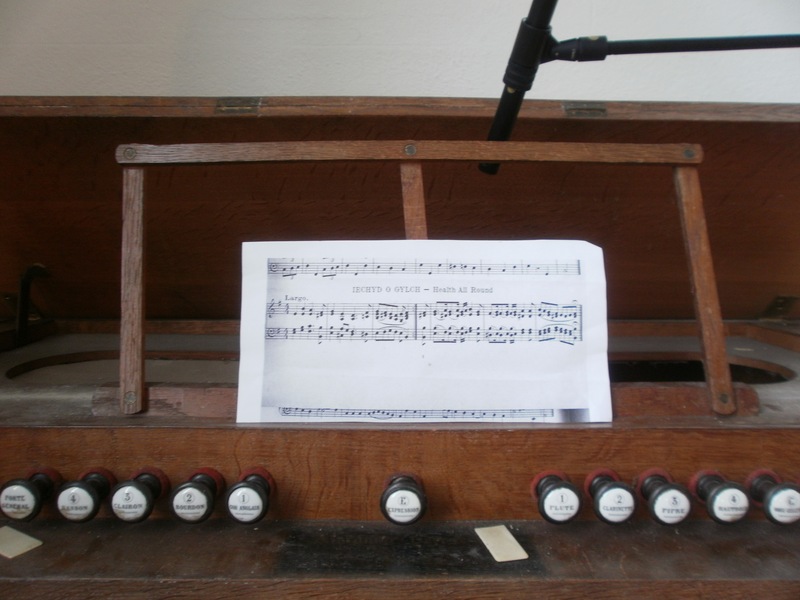 Her sensitivity to the sonic possibilities of musical situations and attentiveness to their shape and direction make her one of contemporary music’s most fascinating figures. Playing fiddle, overbowed fiddle, double recorders, sometimes percussion and other rarefied wind instruments, Laura Cannell is a young woman drawing on ancient transcendental and earthly musics. Her sense of space, dynamics and working with acoustics is super sensitive. 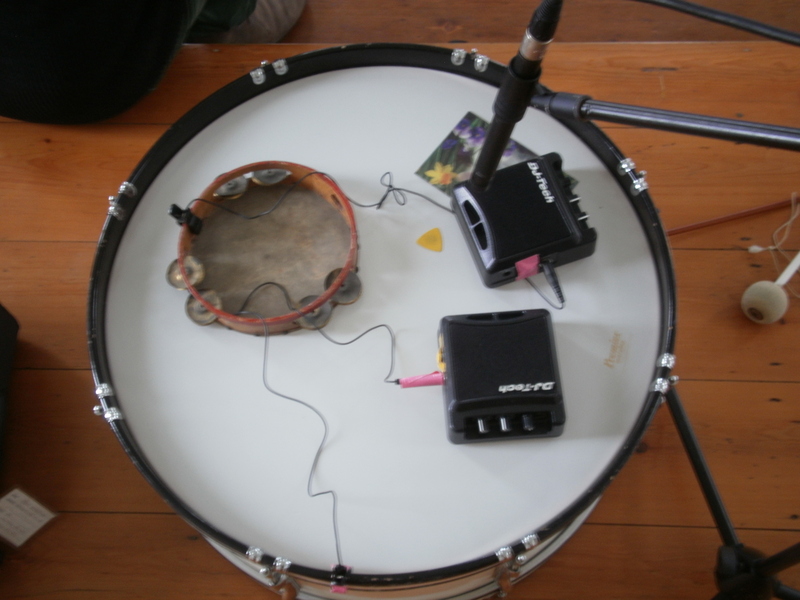 Whether solo or otherwise she explores the spaces between ancient, traditional and improvised music, often utilising a fragment from a medieval theme to her own end in a manner that embraces the apparitional, historical or the otherworldly. Her seemingly wild side, in such rarefied circles makes her involved yet emotive music really bristle and connect. Addasiad gan Angharad a Laura o’r alaw Hoffter, o gyfrol Nicholas Bennett, Alawon fy Ngwlad (1896). A reworking by Angharad and laura of the melody Fondness from Nicholas Bennett’s edition of Alawon fy Ngwald (1896). 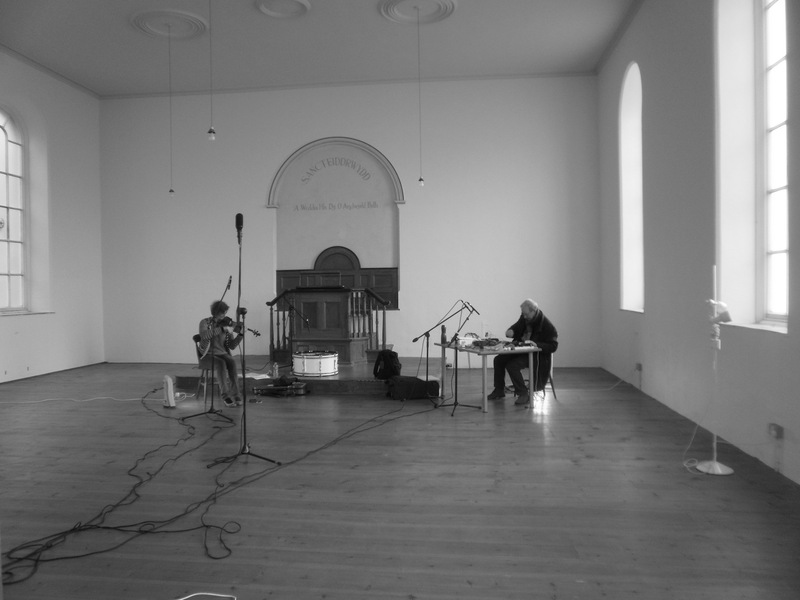 Angharad Davies, Steve Beresford and Simon Reynell, exploratory practice, 2014. 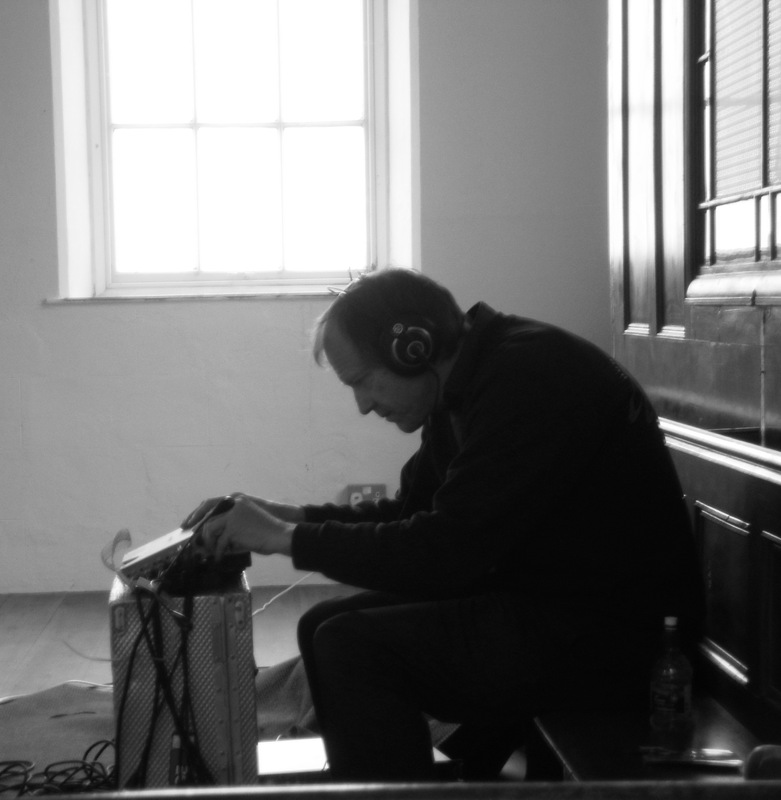 Simon Reynell recording during his visit with Angharad Davies and Steve Beresford, 2014. Having heard of Capel Y Graig by word of mouth, Angharad stopped by on the off chance whilst passing through Ffwrnais and popped in. 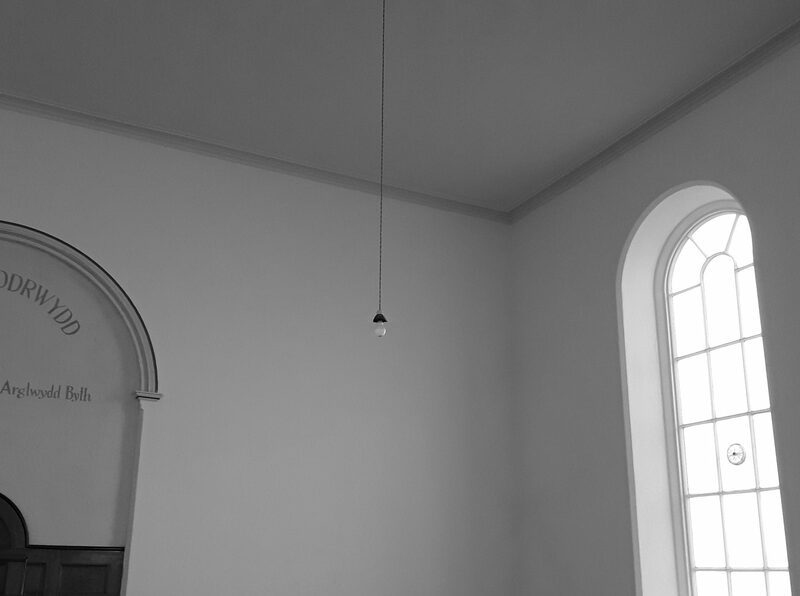 Excited by the idiosyncratic acoustics of the Capel, Anghared asked if she could return, accompanied by Steve and Simon, to experiment and record in and with the Capel space. It was exciting and intriguing to see and hear the collaborative improvisational process unfold between them and the Capel… and a pleasure to have them spend time here. 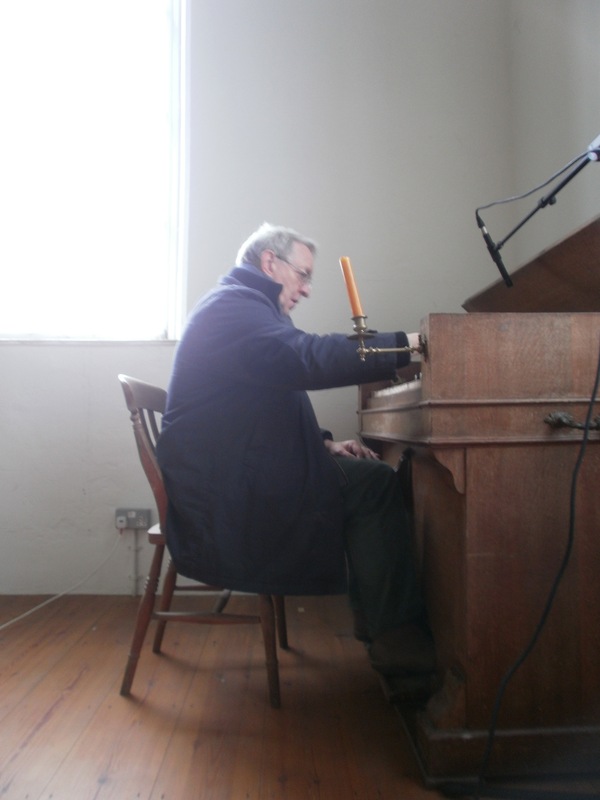 Also listen to Lechyd O Gylch (Health All Round), Angharad Davies on Violin, Steve Beresford on harmonium, recorded by Simon Reynell at Capel y Graig on the 9th October, 2014. 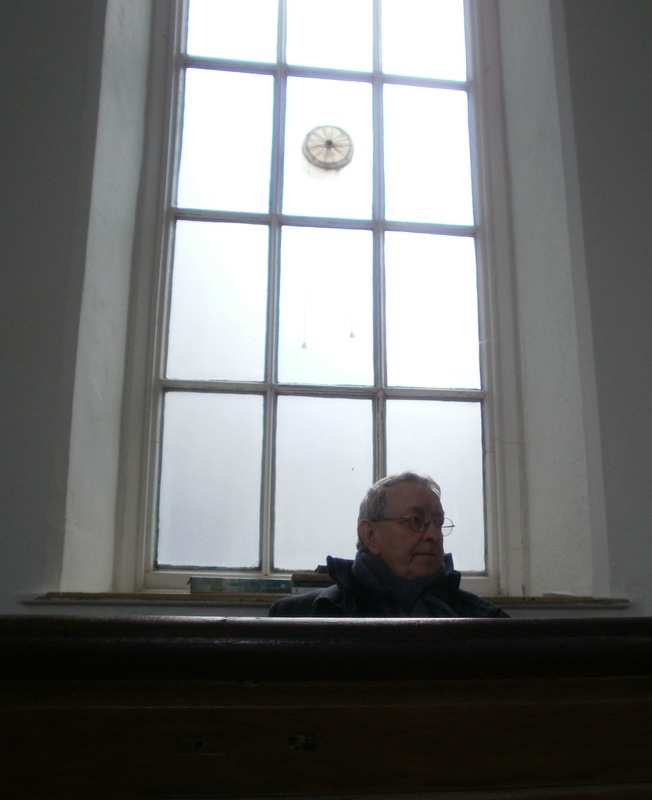 Steve was awarded a Paul Hamlyn award for composers in 2012.